As Bella prepares to head to school this September we are working closely with her to ensure she is ready. Being born in December, she will be one of the younger students, entering JK at 3 years old. When my older girls were toddlers they both attended daycare as I worked outside of the home. With Bella, I have been a work-at-home mom, so I have been the one to teach her everything. 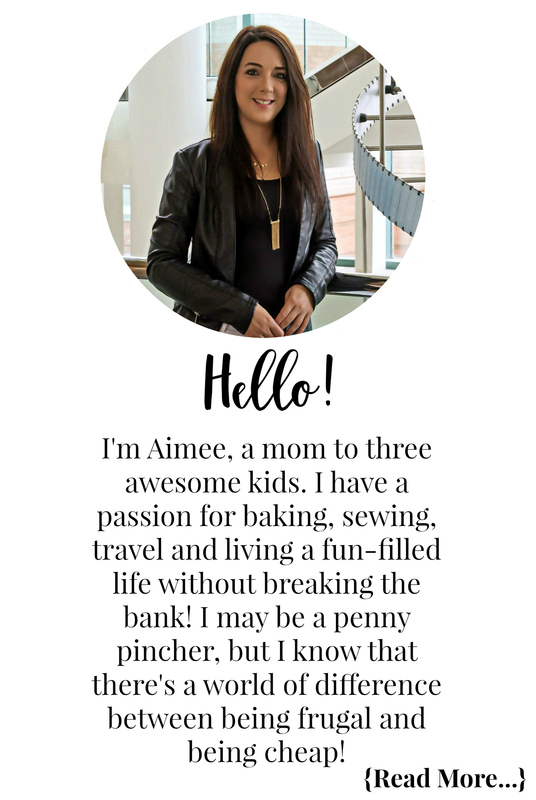 Thankfully I not only had two children go to JK before her, but I also worked as an ECEA at a private daycare. Both of those experiences have given me a great deal of knowledge on what to teach Bella, as well as how to teach her. In the early stages I used flashcards to teach her the alphabet and her numbers. We used every opportunity to turn a normal activity into a learning activity. In the bath Bella continued to learn her alphabet and numbers with the Munchkin Bath Letters and Numbers. I also utilized some great educational apps for those times when she wanted to be like her big sisters on their iPad. I have created lots of printables for Bella and will be sharing them all on the blog over the next few weeks. Recognition is a great skill for our little ones to learn as they prepare to head to school, and while in school. Being able to know the difference between things is very important. This free find the bugs printable worksheet will help your child learn thinking and recognition skills. Print the free find the bugs printable worksheet via the link below. 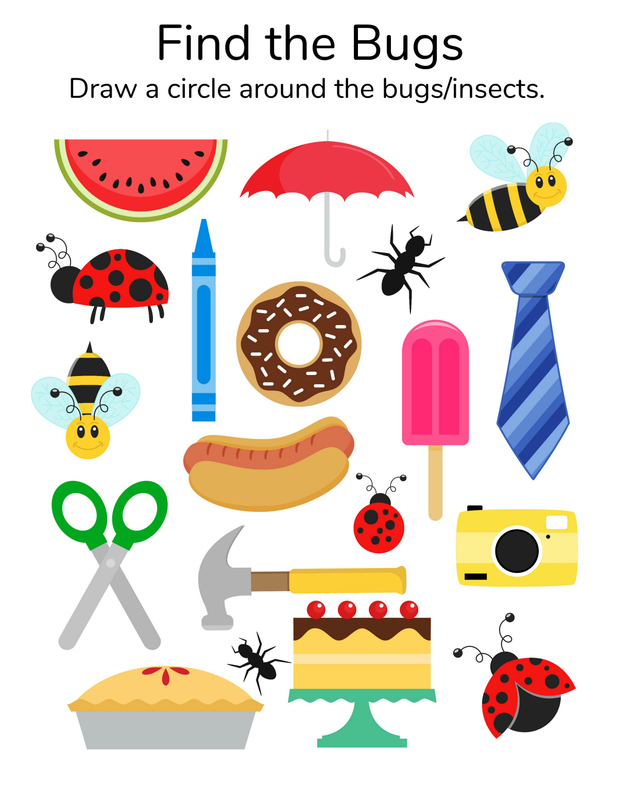 Instruct your child to circle all the bugs/insects on the page. Depending on your child’s age you may need to go through each item with them. Ask them “is a watermelon a bug or insect”. When they say no give them some praise. Tell them they are right and they did a good job! Next, ask them “is a bee a bug or insect”. When they say yes tell them to circle the bee and give them praise. Continue on going through each item until they complete the worksheet. To get your little one excited to learn you can create a sticker reward book. Buy some fun stickers and a sticker book from the dollar store, and every time they complete a worksheet or learning activity let them pick out a sticker for their book! Thanks for the printable’s,my grandson would enjoy this !